This award honors a graduating senior for an outstanding capstone research project in the psychological sciences (Psychology or Communication Sciences). 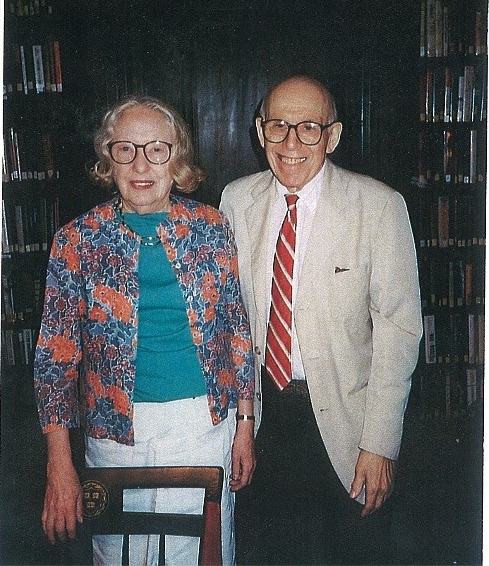 Dr. Edwin and Patricia Hollander contributed significantly to the field of psychological sciences. Edwin P. Hollander (Adelbert 1948) is an Emeritus Professor of Psychology and Adjunct Distinguished Professor at Baruch College and the City University of New York Graduate Center. Dr. Hollander earned his Ph.D. in Social Psychology at Columbia University (1952), with an M.S. there in Psychometrics (1950), and a B.S in Psychology (1948) at Case Western Reserve University. Dr. Hollander’s work focuses on group and organizational leadership and innovation. His research projects examine follower expectations and perceptions of leaders, their performance, ethics, and consequences. Patricia A. Hollander is a consultant in higher education law. She served as both a faculty member and an administrator on the Faculty of Law of the State University of New York at Buffalo. Ms. Hollander earned her B.S. and J.D. degrees from St. Louis University, did graduate study at Harvard Law School, and is admitted to practice in several states. She served as the Public Member of the American Psychological Association’s (APA) Committee on Accreditation and its Commission on the Recognition of Specialties and Proficiencies in Professional Psychology. She also was the Public Member of the APA Board on Social and Ethical Responsibility in Psychology, and was on the Board of Directors of the Association of Psychology Postdoctoral and Internship Centers. This award honors Dr. Hollander and Ms. Hollander’s contributions to the field of psychological sciences and student’s early research contributions to the field. Applications should be submitted electronically to Amy Przeworski at axp335@case.edu.